Thanks, i didn't make it though. Late but cool profile pic . I feel happy to see I'm not the one who also like Monika too . The fact they made her a bit tough at the beggining (which instantly makes. people forget about the kitty cupcakes, i mean there KITTY cupcakes.) just drives people to believe shes the "Rude" one, since some could consider Sayori the "Cute". But you could also blame Dan Salvato for the lack of pure story she gets, sure we hear that her father abuses her, but at least add a bit that proves that (Even the wiki says "It hints at" Natsuki's father abusing her). Just that would flesh the game out and make it a slightly better experience for most people. I know many people who dislike Monika for being outright creepy and not cute at all, but I guess it depends on tastes. I'm just warning them about HER. Members are allowed to discuss the games that they enjoy without fear of repercussion. Trying to bully and silence members into not talking about the games they enjoy is not tolerated. @Burst and @Zach_ I'm sorry that you had to experience this behavior from some of our community members. It is not accepted here. You are free to talk about the games you enjoy. Anyways lets be done with this. Vladimier and Varsia like this. If you have any spriting talent, come join our discord asking to sprite Discord - Free voice and text chat for gamers. How to piss me off 101: Be a ing ty moderator on a discord server. 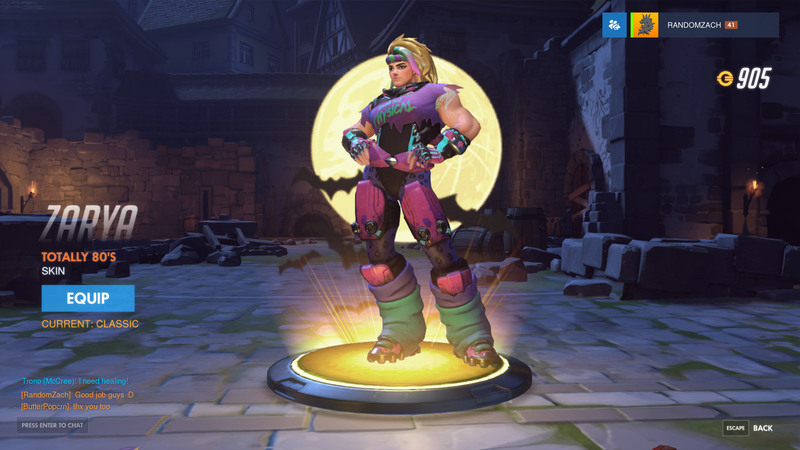 >opens first overwatch haloween box >legendary hanzo skin >opens second >https://i.imgur.com/BfXsT8g.jpg. I do but I recently moved and our Xbox is connected at the moment. I know @OptiPri does too. Heh, sorry for getting off track, @Zachalina . Honestly, that's some amazing luck you had. Who turned you into a Girl? Or it's because you just like Rosalina. It's beacuse Rosalina is cool and kicks on SM 3D World. Eyyyyyyy one year anniversary on the forums! Svante, DoctorMcDerp and Daikonradish like this. Daikonradish and Zach_ like this. Sorry, that title belongs to me. The Destroyer of Worlds bit... not the whole thing of being a puppy. So... would that mean my full name and title is: Techhunter Talon, the Destroyer of Worlds... and totally not a puppy in any shape or form. Yay, bought Overwatch and this is fun. Got it a while ago and still haven't played it. Heard it's only fun with friends and well I ain't got those. Its fun even without friends tbh.